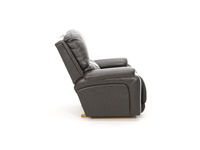 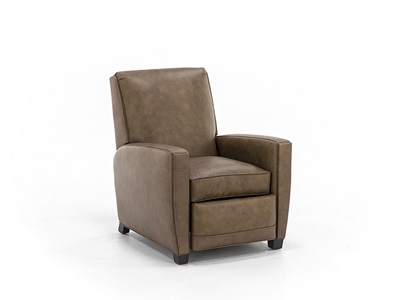 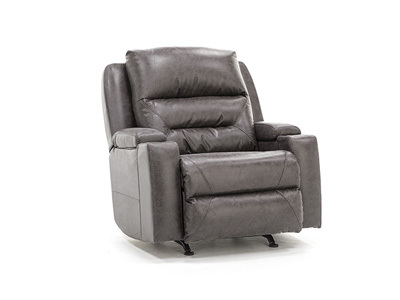 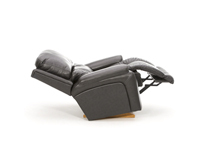 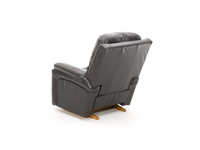 BONUS features on this Greyson recliner include a power adjustable headrest and power lumbar! 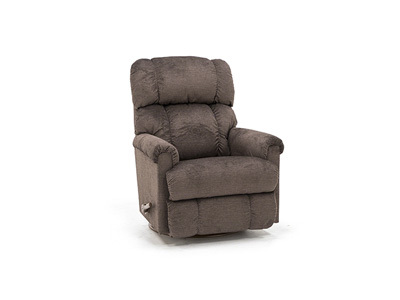 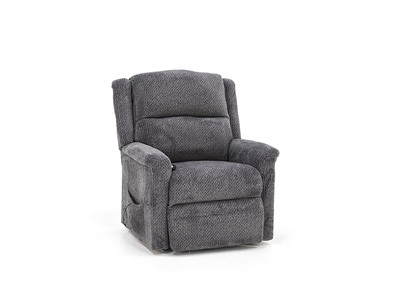 Sleekly styled with alluring curves and inviting cushions, the La-Z-Boy Greyson rocker recliner is destined to be your favorite relaxing spot. 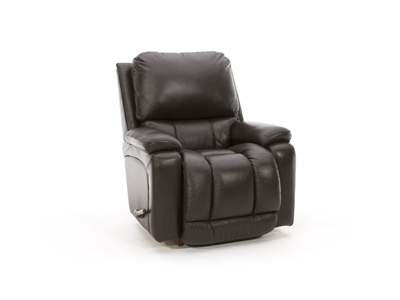 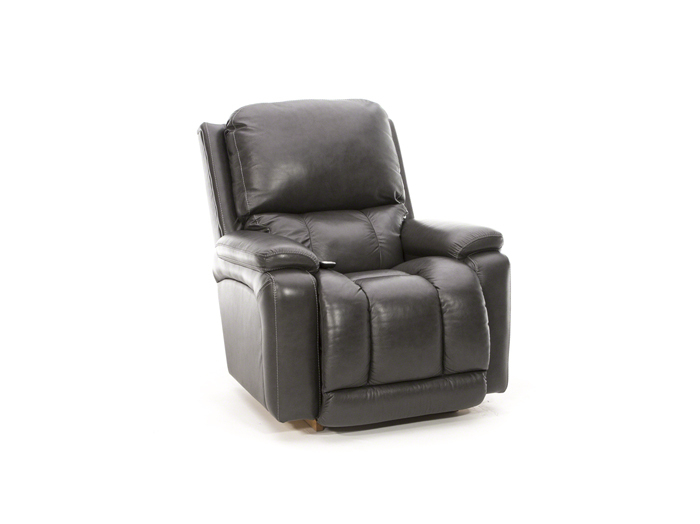 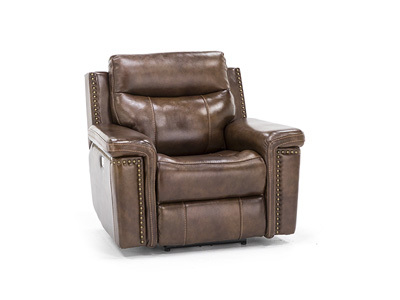 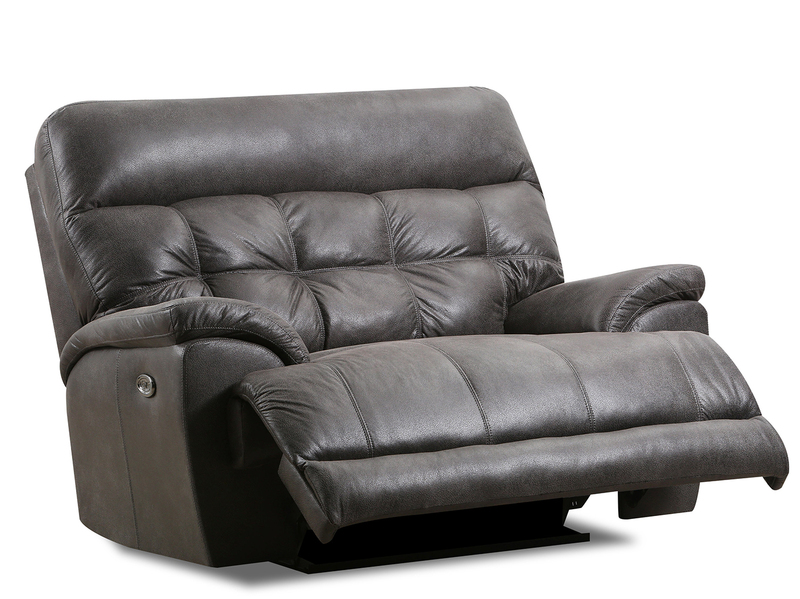 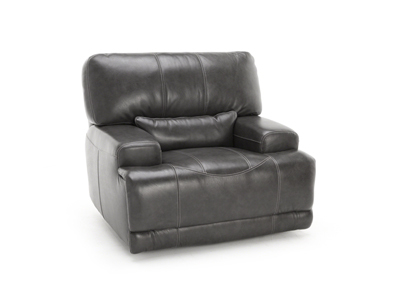 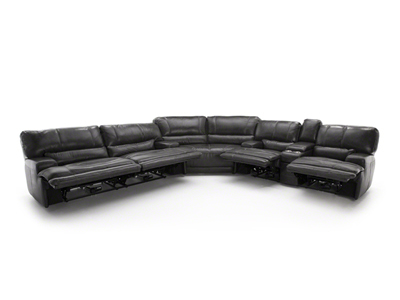 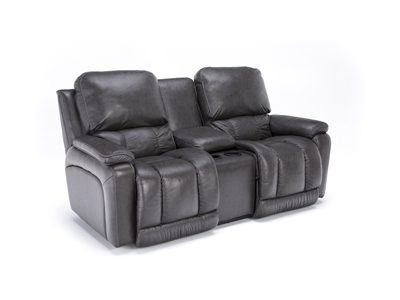 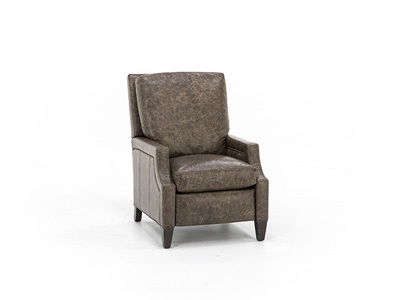 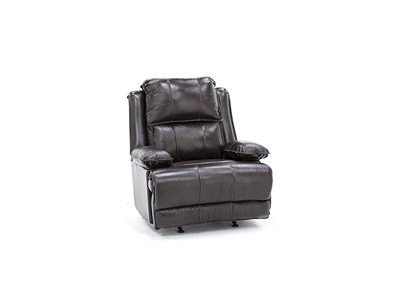 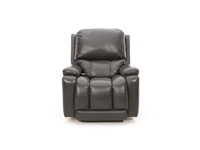 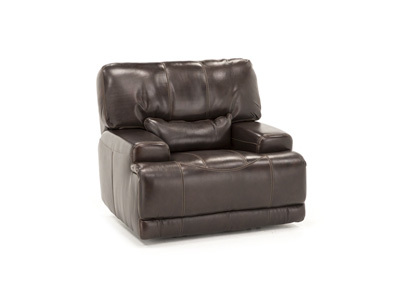 Covered in charcoal gray 100% genuine leather for added comfort and luxury, the recliner features the La-Z-Boy patented 3-way locking leg rest. 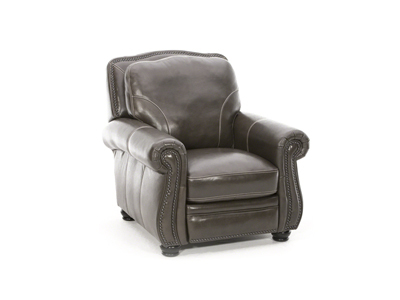 The chair is also stocked in chocolate brown. 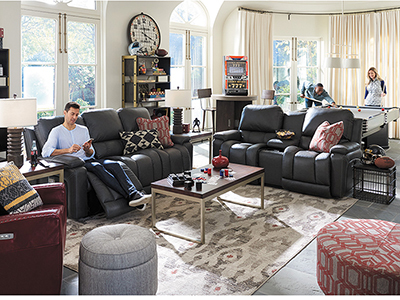 Sleekly styled with alluring curves and inviting cushions, the Greyson reclining room group is destined to be everyone's favorite relaxing spot. 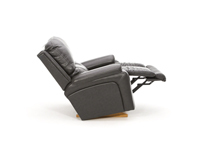 Featuring effortless and smooth power reclining at the touch of a hidden release button, it's the perfect way to amp up your down time.